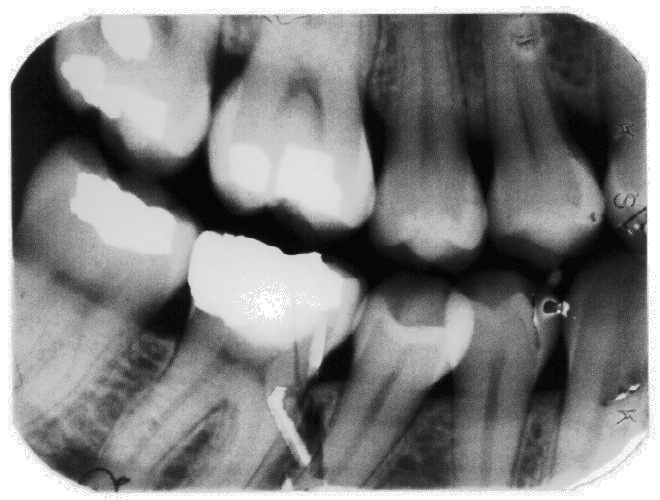 These bite-wing X-ray images demonstrate the concept of GIGO or "Garbage In, Garbage Out." 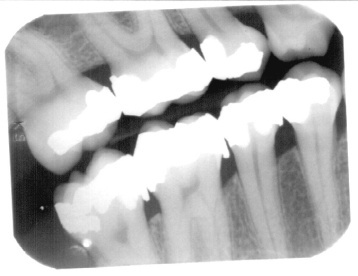 The films were adequate for their purpose, but this project made it obvious that dental film radiography in the late 20th century was very limited by the nature of the film at the X-ray power levels considered safe. The second one especially shows a number of artifacts caused by damage to the film during or after processing. These flaws become evident when viewing a 300-pixel-per-inch scan on a computer screen. In the original form, many of the flaws are easily overlooked. This is much like taking time-limited exposures in low light. The result will be noisy. 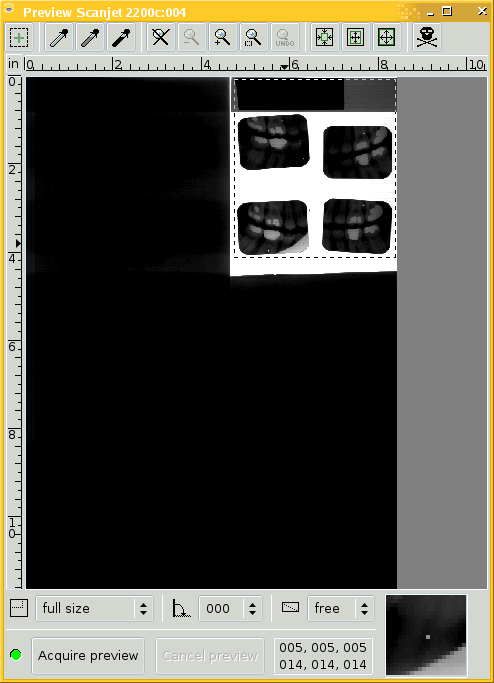 Below we see the XSane scanning software preparing to digitize a backlit set of bite-wing X-ray films. The following pages explain how the light box was built, how we quickly realized that the film had to be removed from the plastic sleeves in which it was stored, and finally how to scan the films.